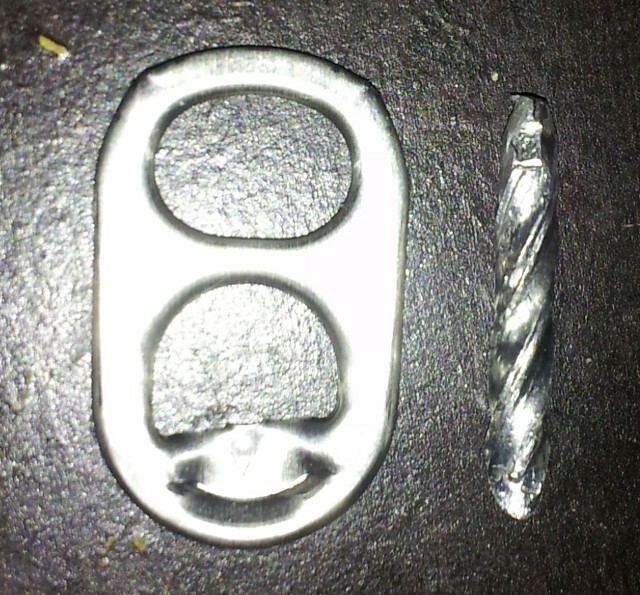 Update: Broken drill bit fragment I found embedded in my rear tire. 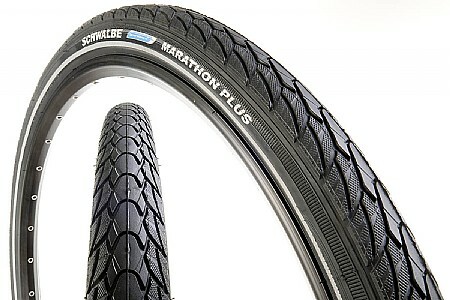 I recently replaced the aging Schwalbe Marathon tires (26×1.5) on my Surly Long Haul Trucker (LHT) with a narrower, hardier version of the same thing: the Marathon Plus (26×1.35). These tires are known for their extreme puncture resistance — the “Plus” version even more so. In addition to this, they last practically forever. Unfortunately, my original Marathons have lost much of their puncture protection and are a bit too wide for my taste. I mentioned to my cycling buddy, Korey Pelton, that one of my Marathon tires had probably seen close to 5,000 miles of use — a couple thousand on my old LHT, and a couple more on the new LHT. I did have to replace one of them at some point after running over a nail or something, damaging the tire. If I used a strong boot, or “tire patch,” it might have been okay. However, I’m hesitant to test this since I can be up to 50 miles away from home on a given ride. Korey is a bit skeptical a rear tire can last so long (5,000 miles), so I’m going to keep track of how many miles these new Plus tires see. I bet him a Pilsner Urquell both front and rear tires will last. My cyclometer this morning (since last reset) says I’ve put 1,727 miles down; I’ll revisit this in a few years, at the 6,727 mark, to see if my claims match reality. Update: I pulled what looks like a nearly inch-long drill-bit fragment out of the rear tire; it was completely embedded for months with no flat. How's that for puncture protection! Update (11/15/2012): Got my first flat since owning these tires. A large nail punctured the rear tire and gave me an insta-flat. Still the best flat protection I've ever had. Ah, I could always use an extra Pilsner Urquell. :-) Maybe I’ll dive out in front of your bike a few times so that you have to skid your tires a lot to ensure my victory! ;-p J/K.